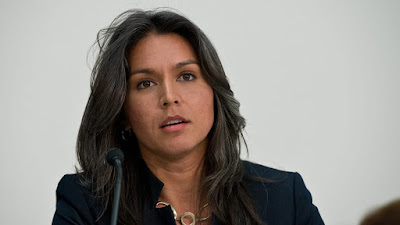 U.S. Rep. Tulsi Gabbard has officially filed for re-election. She signed her nomination papers on Wednesday at the Hawaii Office of Elections in Honolulu. Gabbard has represented Hawaii’s 2nd Congressional District since 2013. She is weak on some economic issues but when it comes to foreign policy and putting some speed bumps in the way of the ever-expanding Empire, she is the most important person in the House. After her, there isn't much.